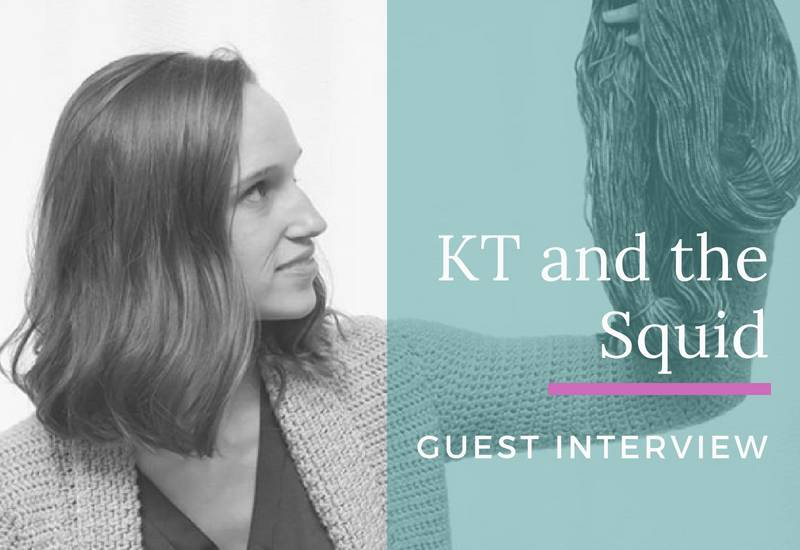 This month’s guest interview is with Katy from KT and the Squid. 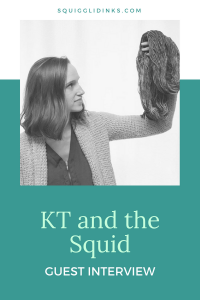 She is a crochet and knit designer, and she creates gorgeous hand-dyed yarn. 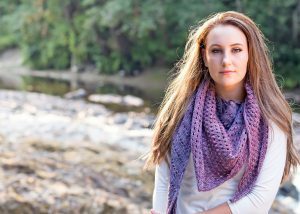 Her sweater designs are some of the coziest crochet creations I’ve seen! 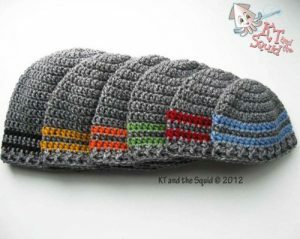 In high school I ended up with one of those Learn to Knit booklets so I taught myself. In 2009 I started selling finished pieces. People started asking for my patterns so I finally gave in a few years later and am so glad I did. I love seeing the finished piece. Especially if it’s a wearable item. That moment it goes on a model or on myself feels so good! Not really but because I design I do try to keep things fairly simple. I want to create things others can easily create as well. I don’t know if it was so much a tip, but a yarn executive at a yarn company quickly threw out some words she thought were my style. I wrote them down and keep them in mind with everything I do. I thought they were perfect and they really help me stay focused on what caught her attention. I would love to master brioche one day. I know the basics but would love to learn more. I do a lot of garments so I find a lot of inspiration from clothing stores/websites. I love Anthropologie. I would take fast fingers so I can get more done!